Elder Isaac Haggins serves as a Counselor with the Mount Zion Fellowship Community Development Center’s Pre-Marriage Counseling Program. 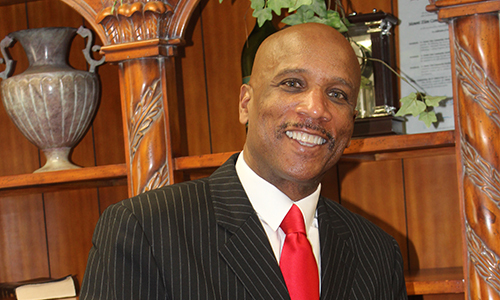 He is a 1975 graduate of Lutheran East High School. He received his Bachelor of Science Degree in Business Management from Dyke College in 1979. He gave his life to Christ in May, 1977. In May, 2003, he was ordained as an Elder. Along with the Pre-Marriage Counseling Program, his ministry focus has been with the Prison Ministry and with serving as an Adult Church School Instructor. Elder Haggins declares another focus of “Keeping his Pastor lifted up in prayer”. Elder Haggins is a member of Alpha Phi Alpha Fraternity Inc., as well as a host of other organizations. He is married to Tanya and has four children and four grandchildren.